Marriage and other long-term committed relationships are an integral part of our lives and confer many benefits. People in satisfying marriages report greater life happiness, live longer, and are less vulnerable to mental and physical illness. Unfortunately, many couples experience significant relationship distress and about half of marriages end in divorce. Among those who stay married, a notable number of couples remain in unstable, severely distressed marriages for years or even decades. Given the serious physical and psychological consequences of relationship distress and divorce for spouses and their children, it is clear that relationship science-the basic and applied study of relationship development, maintenance, and dysfunction-is of critical importance. 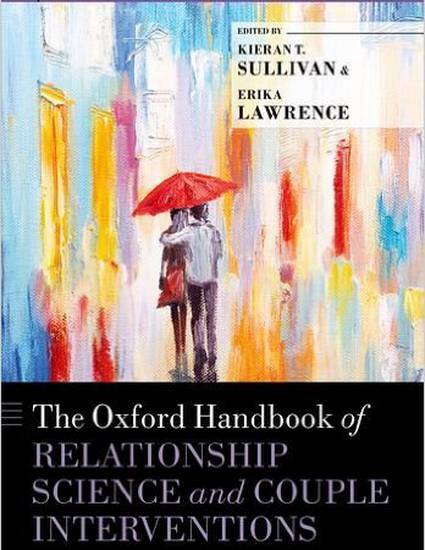 The Oxford Handbook of Relationship Science and Couple Interventions showcases cutting-edge research in relationship science, including couple functioning, relationship education, and couple therapy. The book presents the most current definitions of and classifications for relationship dysfunction and discusses the latest research on the biological, psychological, and interpersonal causes and correlates of couple dysfunction and subsequent treatment implications. The latest findings regarding empirically supported prevention and treatment interventions for couple dysfunction are highlighted, as well as diversity and cultural issues in the context of working with couples. This Handbook will appeal to researchers who seek to understand the development of relationship distress and design interventions to prevent and treat couple distress and clinicians who are diagnosing, assessing, and treating couple dysfunction. Read the final chapter of the book here in the Psychology series of Scholar Commons.